Who shot the gun-control advocate? Suspects abound—her philandering husband, a hard-drinking former beauty queen, a smooth-talking gun lobbyist and his deceptively meek assistant, an ambitious television reporter who sees the murder as the story that could transform her career. Police lieutenant Dan Ledger puts his own life in danger as he struggles to uncover the secrets of suspects who at first seem harmlessly eccentric—but who can quickly turn deadly serious. Ledger’s used to piecing together meager bits of evidence, and he’s usually adept at analyzing the fears and desires that drive people to kill. This time, though, the motive takes him by surprise. 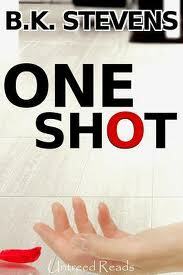 ONE SHOT is a traditional whodunit with a contemporary twist. Packed with suspense and humor, it raises questions about issues ranging from gun control to reality television.